What makes some Hamptonites love their homes so much they're leaving the beach behind? 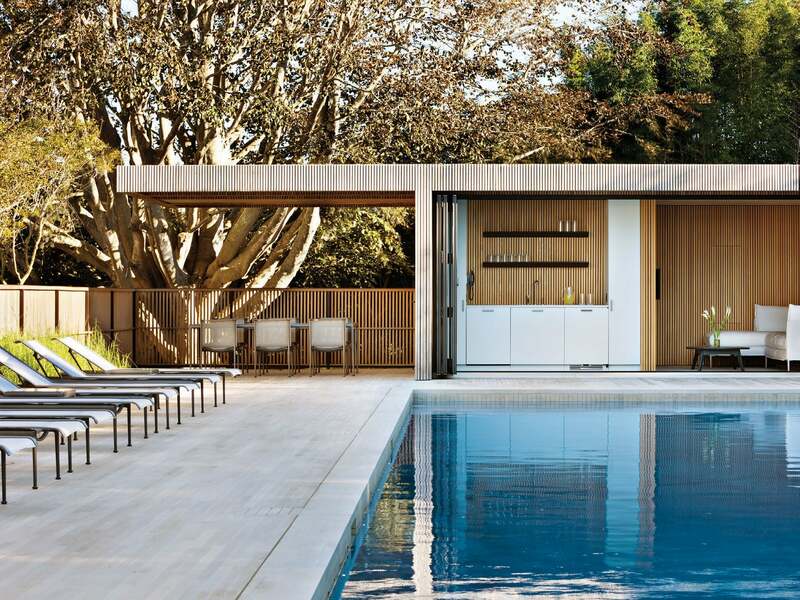 Pull up a chair with our property experts—broker Mala Sander, mortgage banker Christine Curiale, architect Kat Dalene Weil, builder Matt McGrath, interior designer Tamara Fraser and landscape architect Ian Hanbach—to hear about what their clients crave most: summer living. How is your summer different from the rest of the year? CHRISTINE CURIALE: I’m so tired! 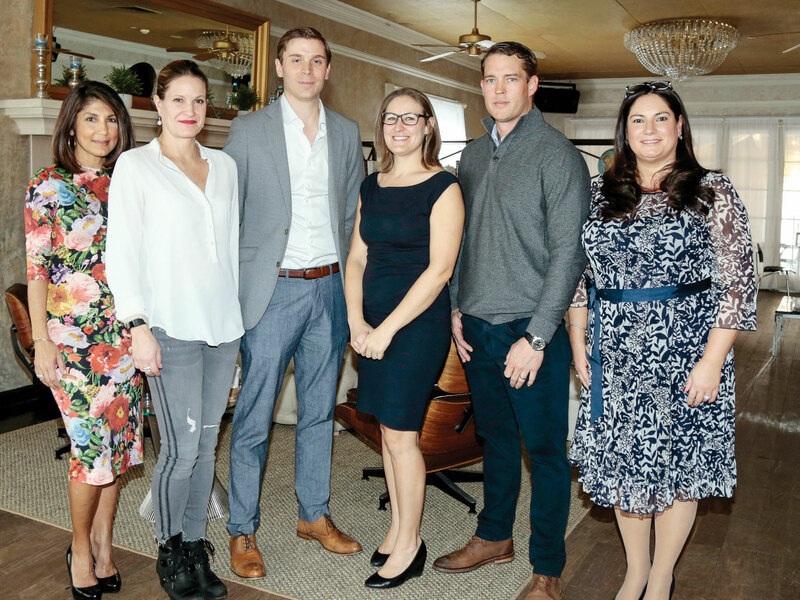 The Hamptons comes alive with events every other day—fundraisers, charities, networking opportunities. TAMARA FRASER: We’re social more often with clients. Meetings turn into social events, or social events create meetings. MALA SANDER: We spend the nine months that aren’t summer getting people ready for summer. MATT MCGRATH: Clients invite us over to see them with their homes. A project we’ve been at for years finally gets lived in. IAN HANBACH: People want a little resort on their property. We do a lot of built-in fire features where people will have a glass of wine and a conversation. MM: The big thing is open areas from indoors to outside. Full walls that open, and a patio from the interior right outside. 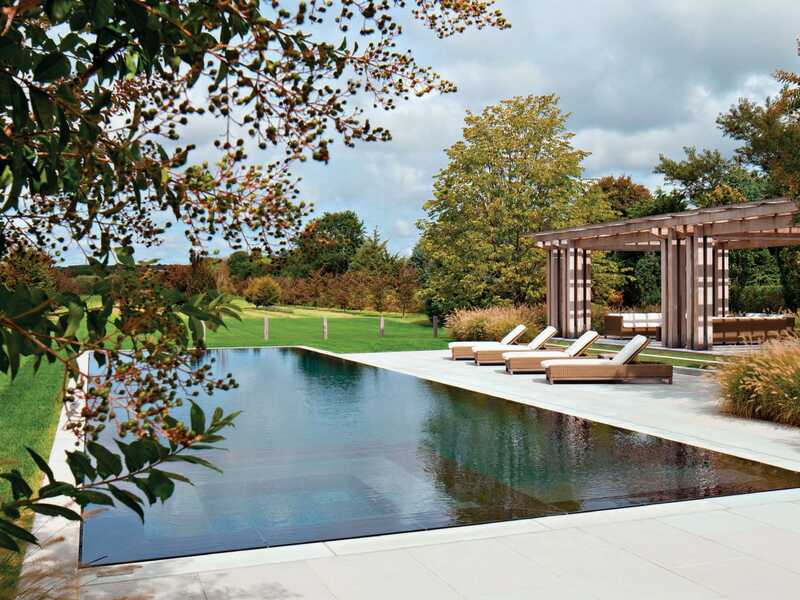 TF: And having outdoor living spaces with comfortable sofas and dining tables, not just poolside furnishings. We’re designing a house in Water Mill where literally the inside is outside; there is no difference. And outdoor fabrics are everywhere—they feel fabulous. There’s been an absolute revolution in the fabric world. KAT DALENE WEIL: Even with glass doors, clients push the envelope: minimal frames and clear, big pieces of glass that pocket into walls. When you get someone like Ian working on the design, they want to look at that; it almost becomes art for them. I also see a lot of destinations on the property, pockets for events to take place, like fire pits or pool areas. Do outdoor amenities increase the value? MS: They totally make one and one equal much more than two. CC: On the appraisal end, we’re giving specific value points to each addition and definitely seeing values increase. MS: And when it’s beautifully designed with furnishings that work, they want it as is. They’re like, ‘Oh, does this come furnished?’ The answer is always yes. Everything’s negotiable. CC: It’s very turnkey. You’re coming down from the city. You want to immediately go to the beach, have friends over, have dinner, have everything there. MS: Which is why more homes are being staged. Modern homes are difficult to envision. Somebody the other day said, ‘Where would I put the dining table?’ We’ll stage it, and they won’t have to think about it. TF: We see clients who don’t even go out to dinner anymore, because it’s too hard to get into a restaurant. They get chefs and invite their friends over for a barbecue and yard party. People stay home because they love it more. KDW: They have everything they could want from the outside world in their house. IH: I had a client that did a roof deck with some greenery up there. This was where they’d have a cocktail at dusk before going out. It’s part of the routine. KDW: You’re designing a house for the exact lifestyle of your client. It’s an exciting challenge to deduce all that information from a client’s personality. MM: We’re doing a lot of private areas, somewhere you’re not seen or don’t see any of your neighbors. A place you can decompress. I could use one of those. CC: We’re seeing more compounds: When this family [visits], this will be their bungalow. It’s difficult to appraise. People want compounds and privacy? CC: Come to my private island, but stay over there! KDW: Building restrictions are such that you can only have one real house per lot, so some clients go to the lot next door and the next and create individual lots for separate uses. MM: We built one that’s got a 180-foot tunnel between two homes. And a man cave outside that’s no longer a cave, with huge doors. Does this all mean they’re not going to movies or cultural events? MS: Well, somebody’s going to those things, because they’re all packed. IH: Isn’t the idea of family so central to this? You work hard during the week and may not get to see your family. You don’t want to shuffle everybody off over the weekend. TF: You see families walking down the street in Bridgehampton all summer with Mom, Dad, Grandma, Grandpa, kids, dog—the whole family going to breakfast or shopping. What happens after Labor Day? IH: We try to network in the off-season. MS: When the kids go back to college, some people can enjoy a little time on their own. MM: And all of a sudden they’re out for Halloween or pumpkin picking. CC: That’s what’s exciting, right? There’s always something that invites different people to experience different things.